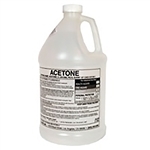 This 1 Gallon Empty Bucket is a strong, but inexpensive white plastic bucket with handle. 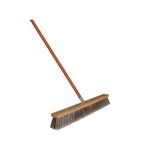 The 24" Fine Broom Brush includes a sturdy hardwood block and two threaded handle holes (handle not included). 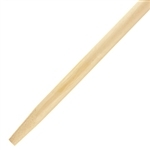 The 24" Heavy OSHA Orange Broom Brush includes a sturdy hardwood block with strong plastic bristles and two tapered handle holes (handle not included). 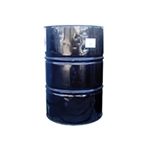 This 3.5 Gallon Empty Bucket is a strong, but inexpensive white plastic bucket with handle. The 3M 8210 Respirator is designed to help provide comfortable, reliable worker protection against certain non-oil based particles. 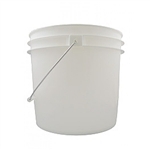 This 5 Gallon Empty Bucket is a strong, but inexpensive white plastic bucket with handle. 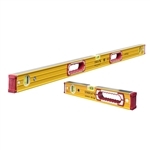 The Box Screed Set features accurate straight edge for bathtubs, shower stalls and floors, Lightweight 3/4" x 4" extruded box aluminum with reinforced center rib, Wrap-around handle (included with set), and Includes sizes 18”, 24”, 30”, 36”, 54”, and 72. The Tile Screed Set features right-angle straight edge for bathtubs, shower stalls and floors, lightweight aluminum construction, and includes sizes 18”, 24”, 30”, 36”, 54”, and 72”. 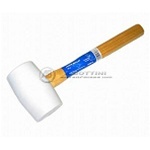 This 8" super scraper is excellent for interior/exterior use and it extends up to 3' - 6'. Notice: This item is only available for local pick-up at this time. Albion H10XD Caulking Gun is ideal for latex, silicone, adhesive, rubber compound and polyurethanes. 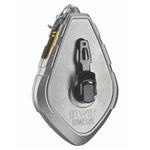 Arrow Hammer Tacker is especially designed with power grip handles and all steel construction. The Back Butter Buddy makes it easy to apply thinset to the back side of large format tile. The days of straining yourself on larger tiles that seem to weigh more every time you pick them up are over. 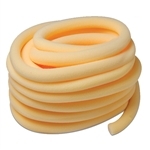 Foam Backer Rod is a non-gassing backer rod used as backing for elastomeric and other applied caulking sealants that controls the depth of the applied sealants and ensures cross-sectional hour-glass configuration. This bag contains 25lbs of t-shirt rags that have been sterilized to standards. This bag contains 20lbs of t-shirt rags that have been sterilized to standards. This bag contains 5lbs of t-shirt rags that have been sterilized to standards. 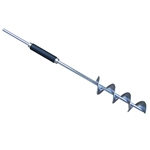 The Benron Stucco Sprayer Hopper Gun can be used for plastering a stucco house, traditional plastering of stuccos such as one coat or three coat stucco or GFRC. 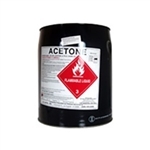 This 1 gallon spayer features high grade poly tank, and is for stains/sealers spraying. These Checkmate Safety Glasses, Clear are excellent safety glasses that are clear coated.